Our magnetic cards are of very high quality and come in brilliant white with a black magnetic stripe on the back. 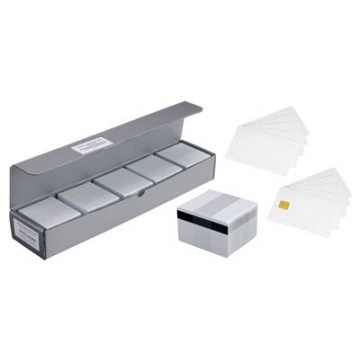 You can use 363B or other magnetic card writers to store data on the cards. The cards are also perfect for printing with plastic card printers, for which we offer professional hardware from Zebra and Evolis. In the card printer area you also find white blank cards without magnetic stripes.